We are already three months into our service year, but we have just begun! As New York Circle K’ers take part in our Service in the Summer Initiative, already the district has started work on our district events for the year. 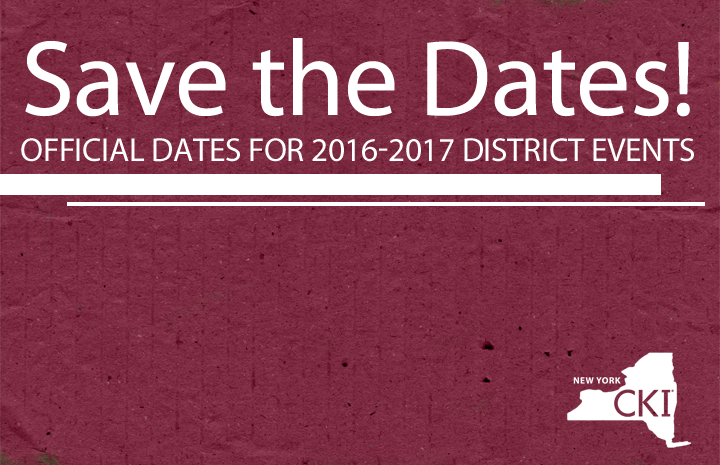 We are super excited to have finalized dates and locations for all three to share with you. Check them out below, and be sure to mark your calendars and tell your clubs. Join us for our service centered fall event on the weekend of September 23-25th, 2016. We will be returning to Kamp Kiwanis in Taberg, NY to help them prepare for the winter. This is our most inexpensive event of the year, but it comes up quick once the school year starts, so be on the look out for registration very soon. 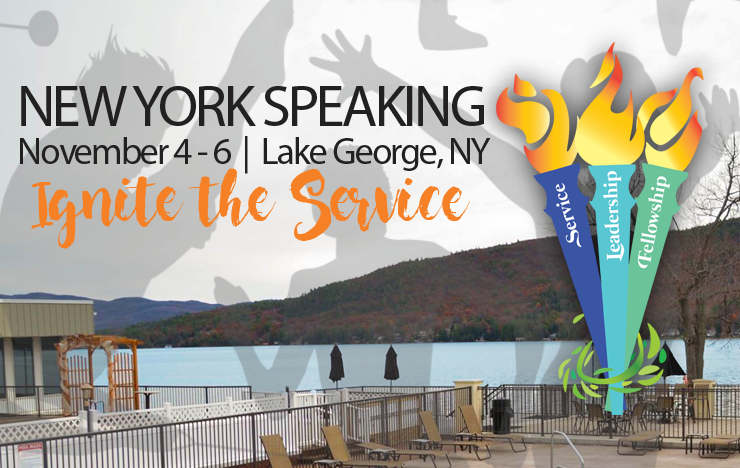 Stay on the beautiful shore of Lake George, NY with us for the weekend of November 4-6th, 2016. The agenda for our themed fall conference includes everything from workshops to bonding activities, and keynote speaker, to ourSaturday evening dance. The biggest gathering of New York Circle K members, our spring District Convention, is taking place March 17-19th, 2016 in Albany, NY. Check in at the Raddison for three days of awards, workshops, networking, elections, and even a service fair!